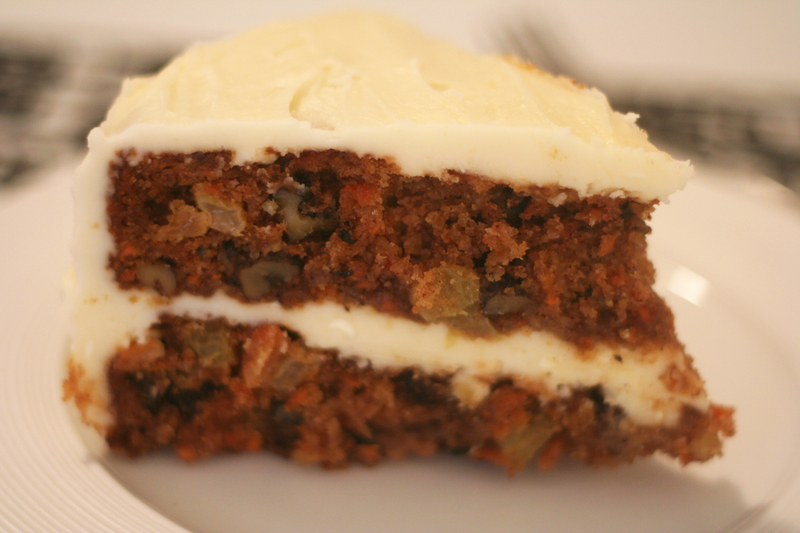 This tasty recipe came from my fabulous friend Karen who does not mess around when it comes to cake! 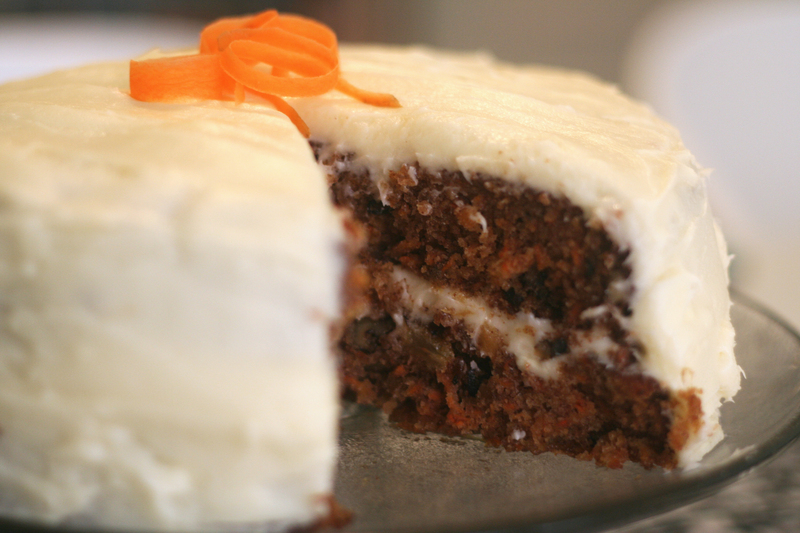 This recipe makes an insanely flavorful cake with a strong punch of cinnamon and the sweet taste of pineapple, golden raisins, and carrots. 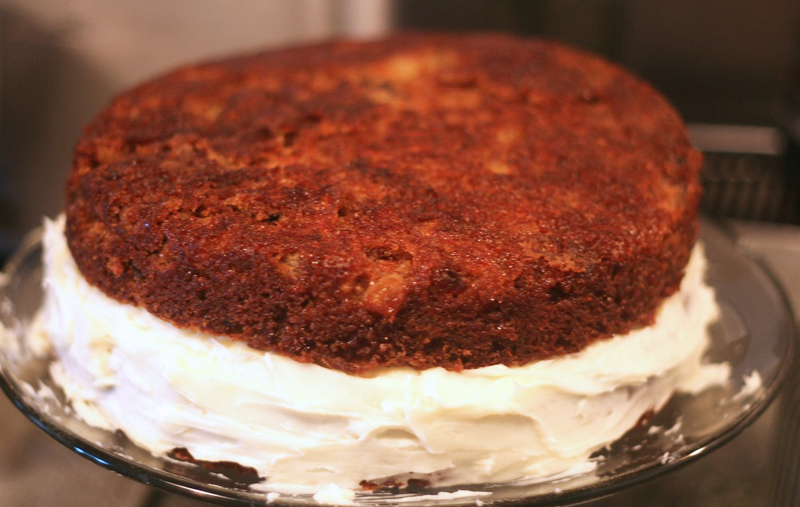 The cake stays perfectly moist with the addition of crushed pineapple and the chopped walnuts add a great crunch to the texture. AND don’t even get me started on that icing. It should be illegal. Super simple to make and perfectly complimentary to this recipe. First preheat oven to 350 degrees. 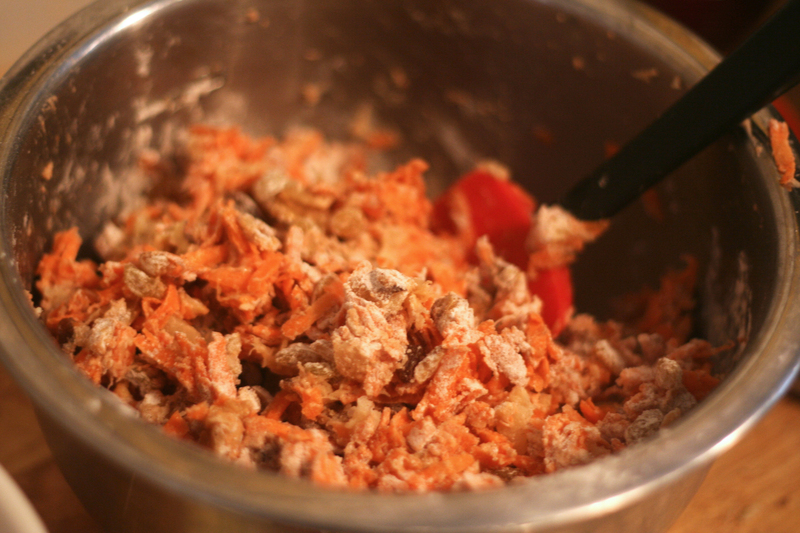 Shred the carrots and set aside. 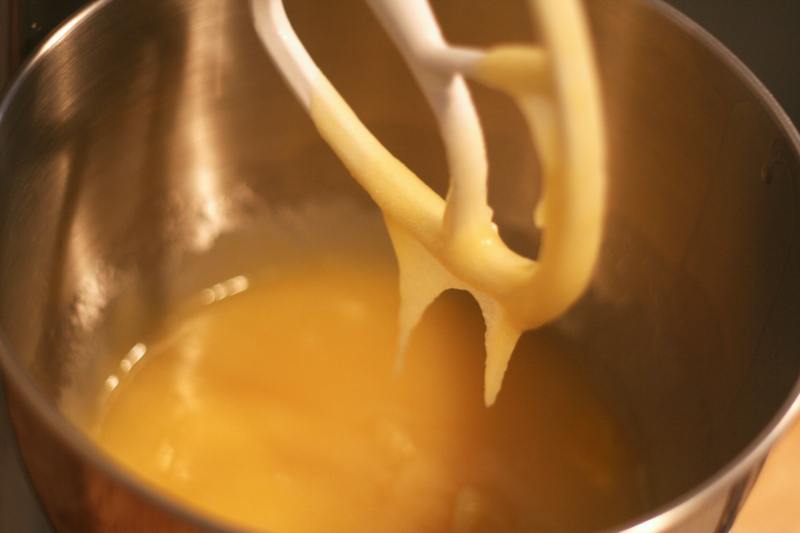 Then beat the sugar, oil and vanilla together in a mixer. 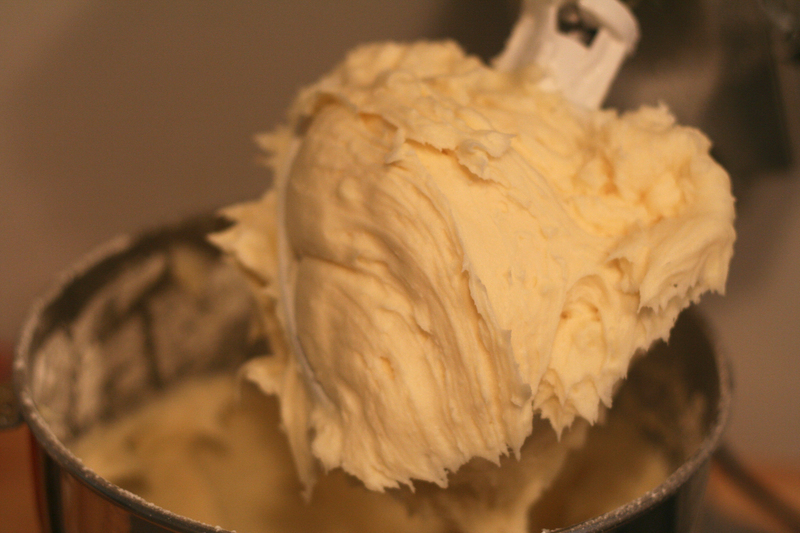 Also, make sure you have the cream cheese & butter setting out for the icing so they are room-temperature and softened. Then add eggs in one at a time and beat together. 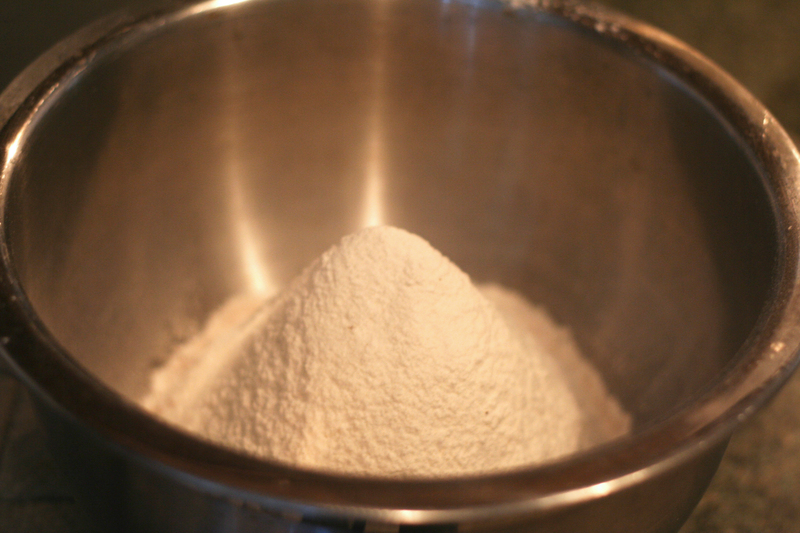 In a seperate bowl sift together the flour, cinnamon, baking soda and salt. 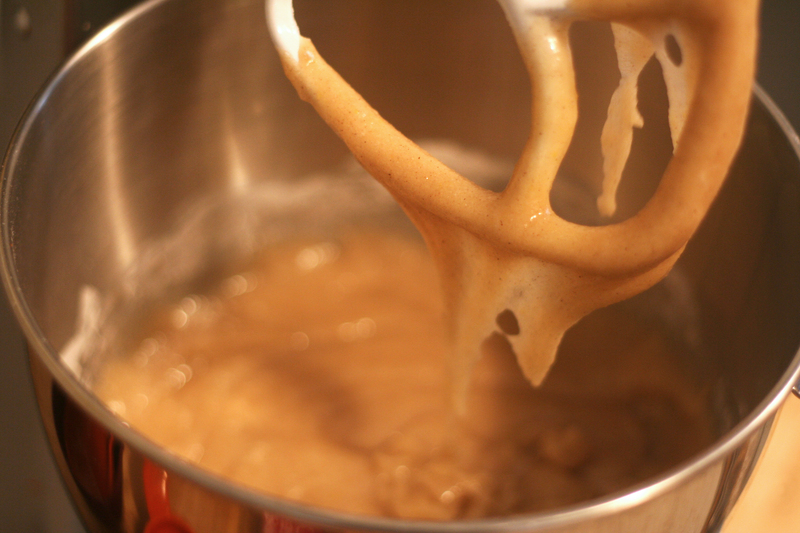 Then mix in ONLY 1/2 of the dry mix to the wet mix. 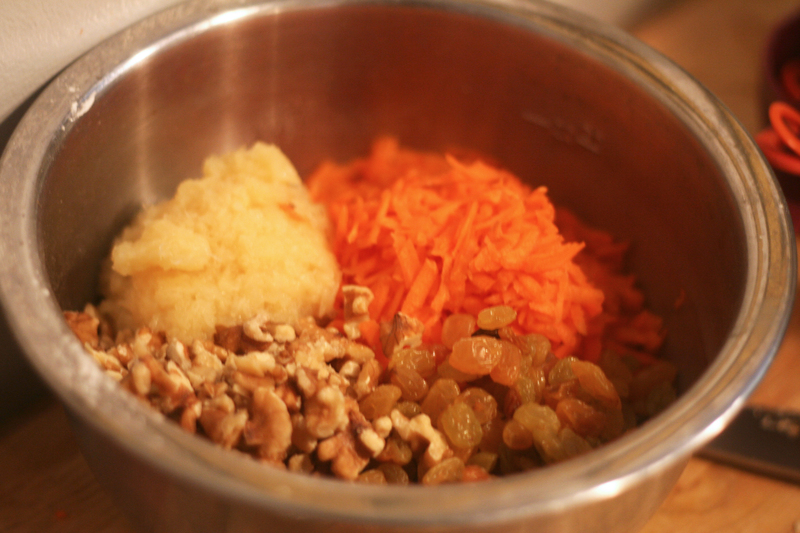 Then add the carrots, raisins, walnuts and pineapple to the remaining flour and toss until well coated. 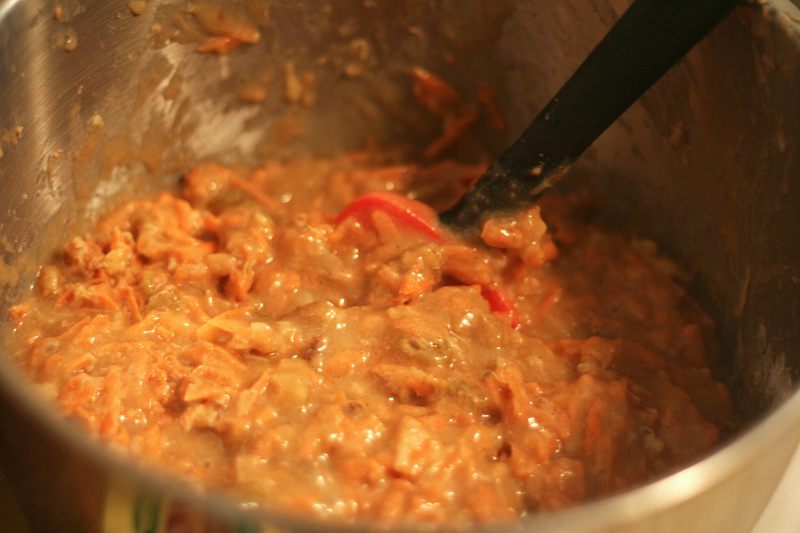 Add the fruit and carrot mixture to the wet batter and mix (easier with a spoon then the mixer). This will be thick! 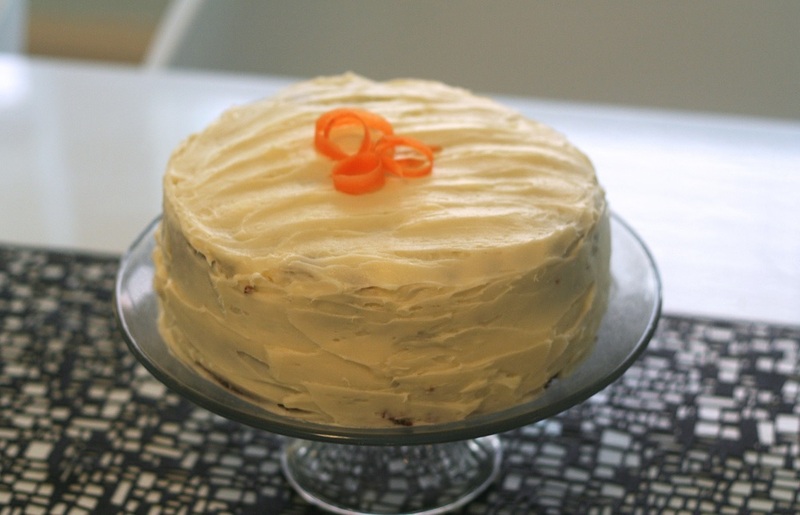 My cake stuck to the pans, and I used butter & spray so I’d recommend to go a step further to make sure the cakes come out in one piece – cut a piece of parchment paper, butter both sides, place in the bottom of the cake pan then dust with flour. Then evenly fill the two cake pans with batter. 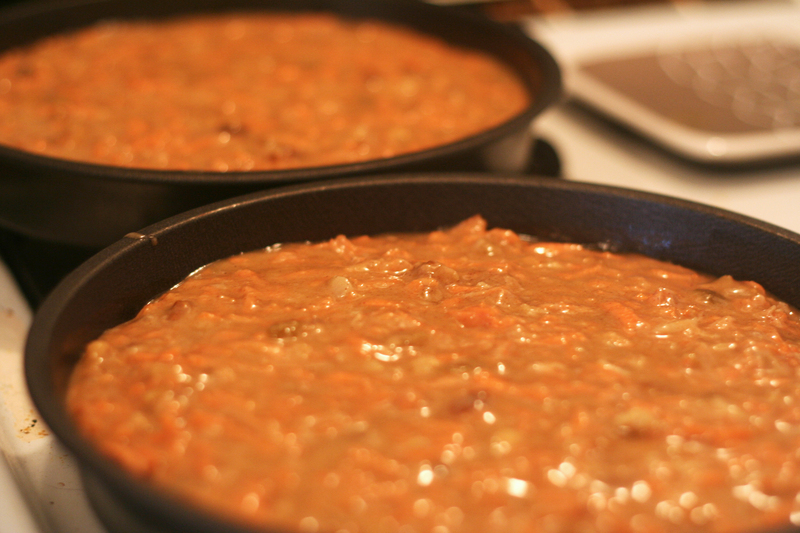 Pop in the oven and cook for about 35-40 minutes until the center is cooked through and no longer moist. Remove and let cool on a cooling rack. Next make the icing. 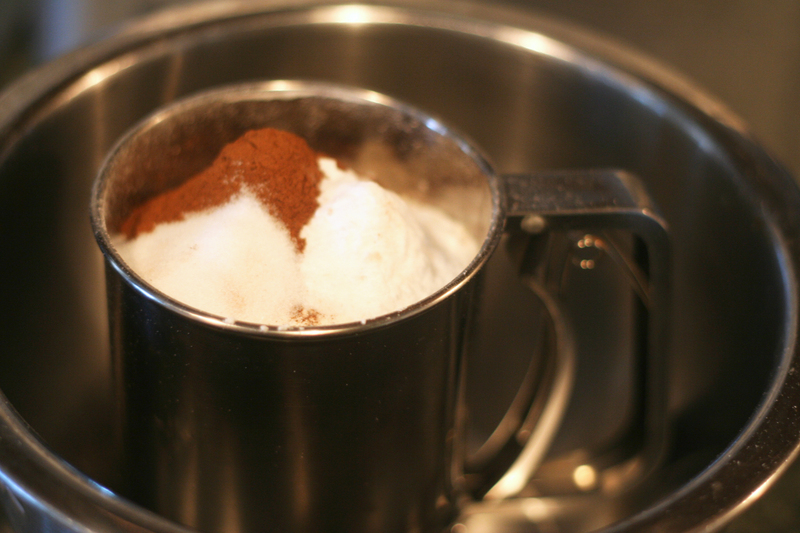 Just dump all ingredients into a mixer and mix together well. Plop the first cake on a cake stand (or serving platter) and begin icing. Place the second layer on and keep on icing! 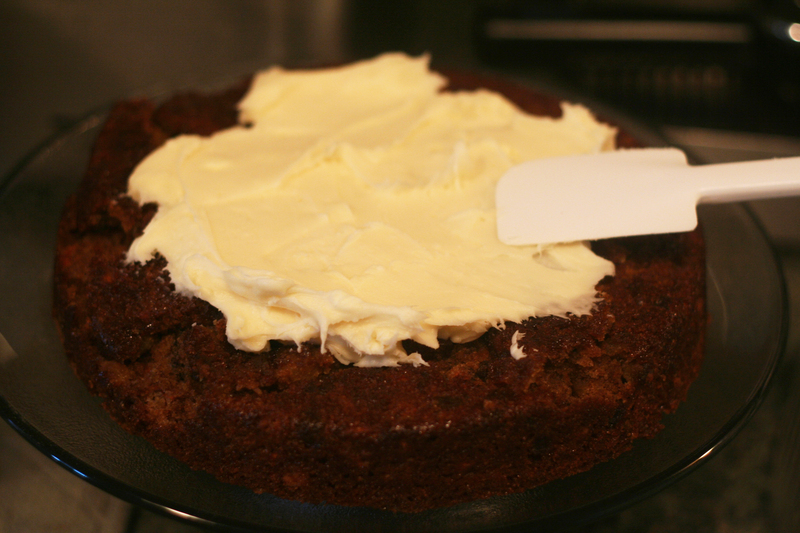 Once you’ve finished icing the cake, use a knife or spoon to smooth it all out – obviously this is not my specialty, don’t judge!